In business, a website is expected. It is widely, if subliminally, regarded as a validation of stability. Without one, your competitors will gain an advantage. The more professional the site, the more professional the business will seem. A website is the single most cost effective and fundamental marketing tool. It can be as local or as International as you like. Customers and Clients can engage with your business from anywhere, and if you’re selling, they can buy 24/7. 54% of the world population use the internet today. At college I studied Architecture, and I have been a designer all my life. The one thing all designers discover early on, is that most of the time, you are not designing at all, you are compiling facts and figures and gathering information. With Web sites that bit is called content, and Content is King. As with all media, it is the written word, photographs, video and sound that make up those essential ingredients. I typically spend 80% of my time researching, writing copy and sourcing images, 10% organising them into a meaningful and relevant format, and just 10% on the style and aesthetics. If your site requires very little content, or if you have already assembled relevant, quality text and images, it will cost just a few hundred Euro. Firstly, we need to talk, it will cost nothing. The complexity and diversity websites requirements is endless, and I need to arrive at a clear understanding of what your objectives and expectations are. From there we may move straight to a complete sample site, or for more complex projects, I will compile a design document of agreed development, possibly in several phases or iterations. Will I be able to add to my own website? Websites should never really be finished, it’s good to keep them evolving and to add stuff regularly. Some clients need to add news items, products etc. which are usually straightforward functions. I can give training on that at handover time. Can I be top of the list in a Google search? relevant, interesting sites that do what they say on the tin, and that people want to visit. As it happens, that is precisely what we want also! 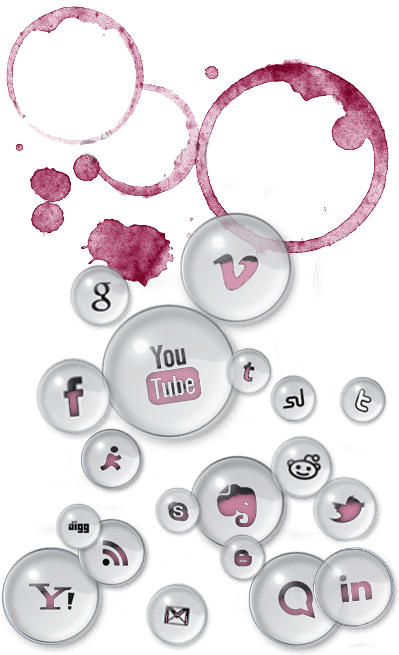 The use of Social media to promote businesses and products has become an essential component of web design, it can be extremely targeted and exceptionally quick in getting your message out there.